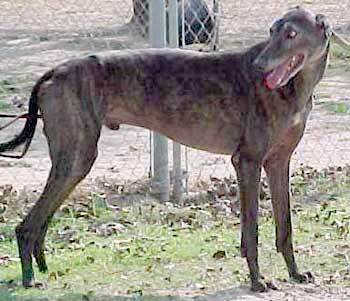 Dave, aka QV Mirage, is a dark brindle male born July 14, 1997 and his brother is Al. Al and Dave both raced here in Texas and at Mobile, Alabama. 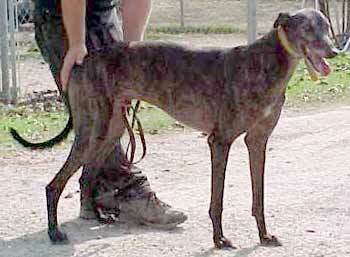 Dave will be a greyt addition to a family with his sweet and loving personality. He is not small animal friendly, but gets along well with other larger dogs.